There was a new Ladies League started at Clydebank this year, and it has been very well received. 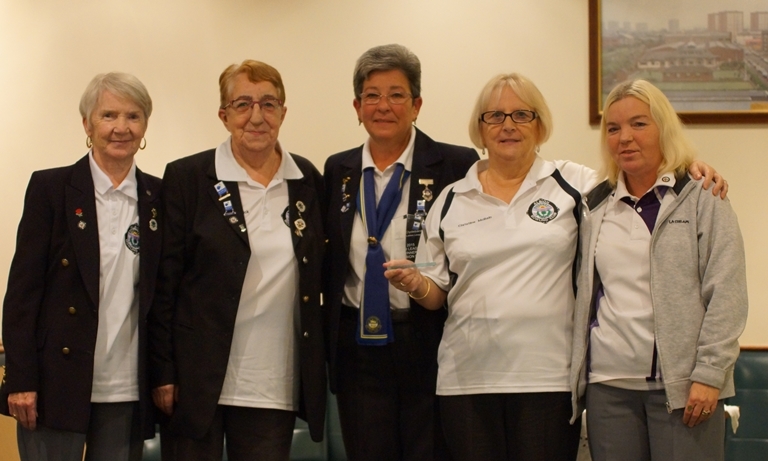 There have been ten teams playing and after the season had finished, we decided to play a short two section Autumn League. 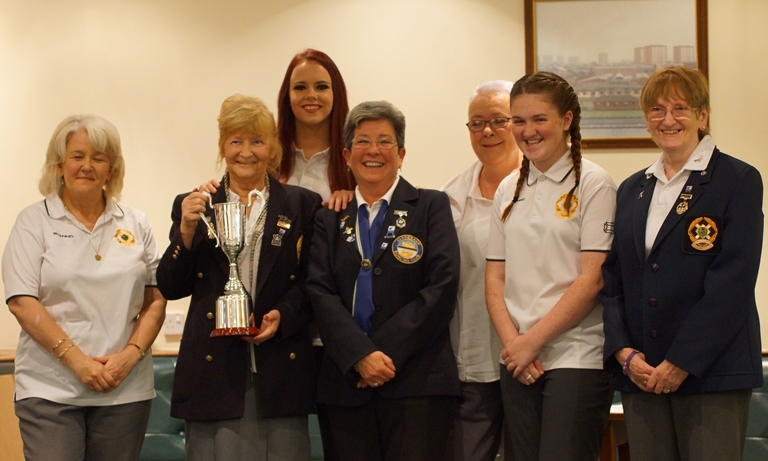 The Ladies League was won by Anniesland BC and the Autumn League was won by Albion BC. 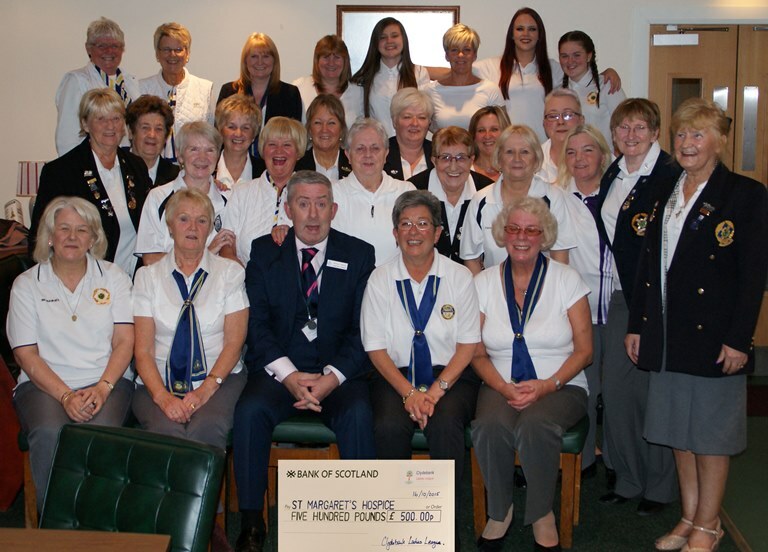 During the season, the ladies have been making a weekly donation to charity, and the winning team Anniesland BC decided that the charity money should go to St Margaret`s Hospice. The Ladies raised almost £400 for charity and Clydebank BC topped the money up to £500.00. 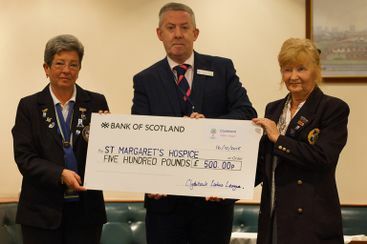 On the presentation evening last week, the cheque was presented to the head of fundraising of the Hospice Mr Willie Seenan, by the President of the Ladies League Jean Graham, and the Captain of the Anniesland BC team Marie Murray. Willie Seenan from St Margaret`s Hospice receives a cheque from the Captain of Anniesland B.C., Marie Murray and President of Clydebank Ladies League Jean Graham. A group photo of the Ladies who were able to make it to the Presentation evening, surrounding Willie Seenan from St Margaret`s Hospice.